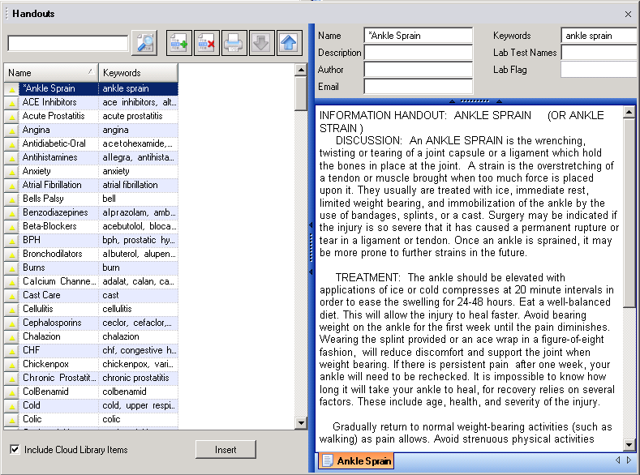 Q: How do I send educational resources to my patient through myHEALTHware? myHEALTHware allows you to attach files to any conversation. 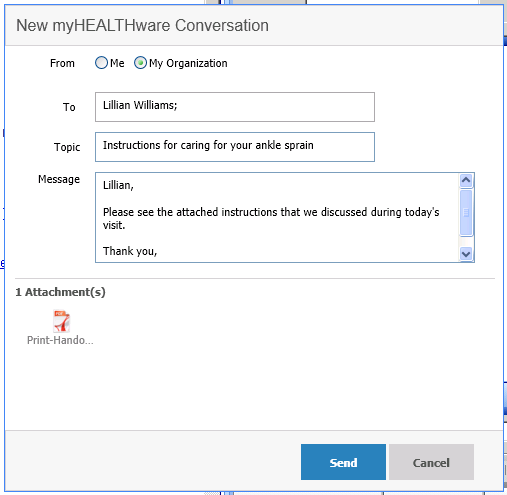 To attach handouts and send them to your patients via a myHEALTHware conversation, follow the steps detailed below. 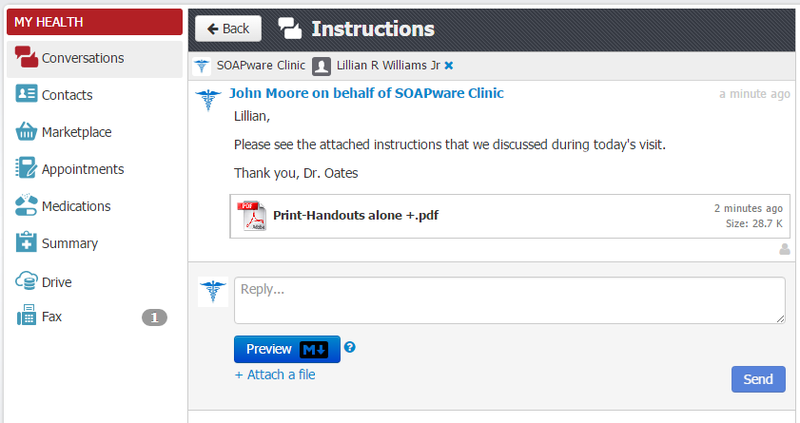 Next, you will utilize the Available Document Design feature to send the handouts to the patients myHEALTHware account. First, you must have a document design set up to send handouts. For instructions on setting up this document design, please see: Print Handouts Alone Automatically. 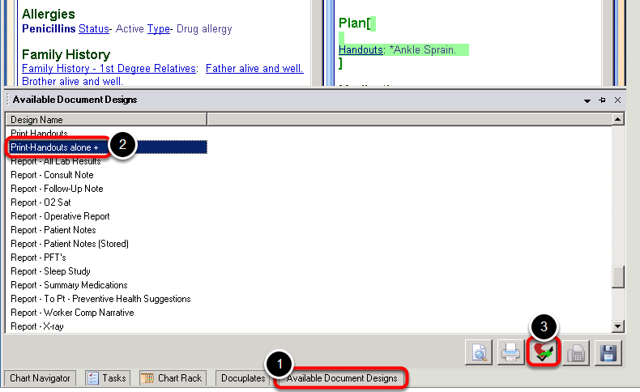 Click the Available Document Designs tab or go to Docutainers > Print. Select the Print Handouts document design. Click the Send to myHEALTHware button. 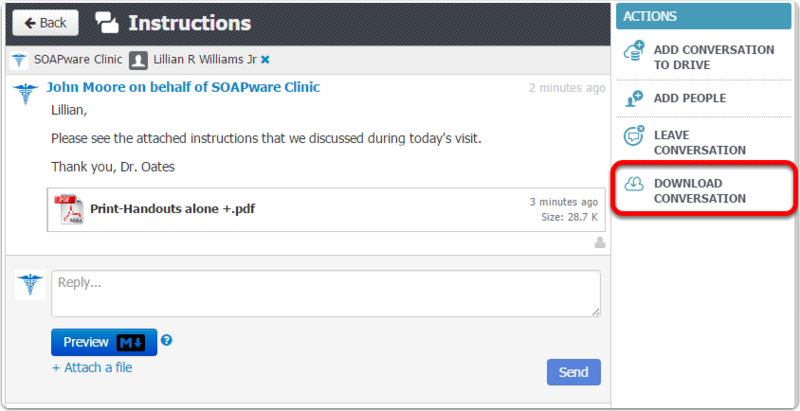 Using the New myHEALTHware Conversation window, select to send the message to the patient and enter your topic and message. When you are ready to send, click the Send button. The conversation, including the attached handouts, have now been sent to the patient. To download the conversation and place it into the patient chart, click Download Conversation. For further instructions, see: Download Conversation to Patient Chart. After sending the conversation, your clinic may wish to leave the conversation. Leaving the conversation will prevent the patient from responding to this specific conversation in the future. 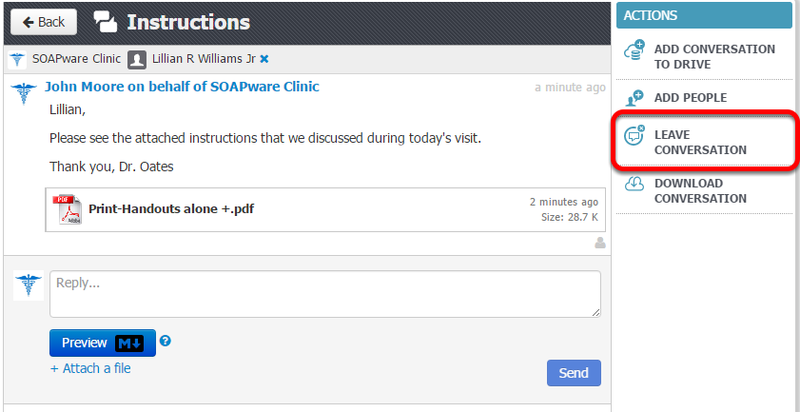 It will also remove the conversation from the clinic inbox. To leave the conversation, click Leave Conversation under the Actions panel.